Preparation for childbirth takes many forms. Everybody seems to go shopping and buy a matching layette, crib and car seat. Who doesn’t love buying baby clothes?! But onesies, while cute, don’t do much to help you have a great birth. We encourage anyone wanting an amazing birth to prepare your body through excellent nutrition, pregnancy exercises, and chiropractic care so you can stay low risk and avoid a cascade of interventions. (You can get a free pregnancy nutrition eBook here.) The obvious steps that most people take when preparing for a baby are fun and helpful. More, however, is needed to have a great birth experience than physical preparation. 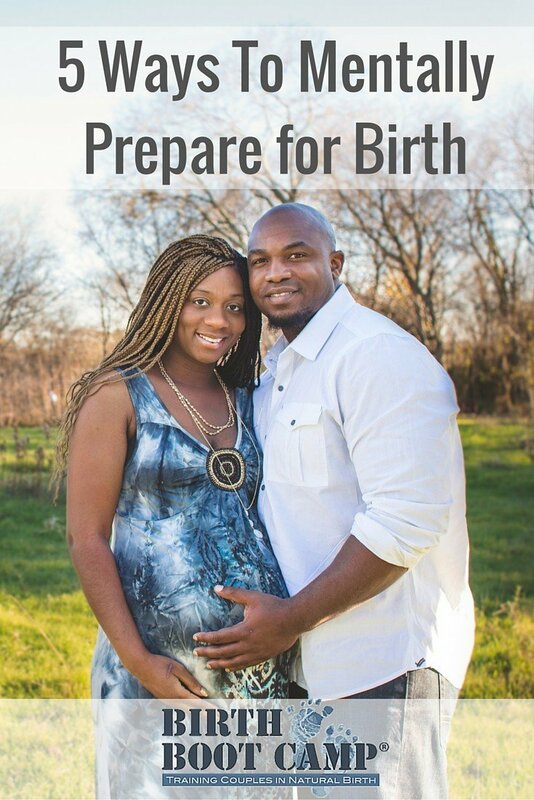 You must take steps to mentally prepare for childbirth. Afterall, the mind is, in many ways, the most powerful organ. Here are five ways to mentally prepare for birth. It is common in our culture to think often and long about the failings of the human body, particularly that of the typical female. Focus instead on the many ways your body already works. You are growing something incredible- a human being. Your body does this without even thinking about it. All you must do is eat and things will proceed. Your body knows just how to grow and birth your baby. It is amazing! Your baby too knows just what to do. It knows how to grow and when to be born. The whole process of pregnancy, while not always comfortable, is miraculous and proof that your body works wonderfully well. Think of that, and be reminded of it as you proceed towards childbirth. While we hear many horror stories about birth, your body is a well designed mechanism that works! Having a group of people who rally around you and help you believe your body works and prepare for your own amazing birth is an important part of mental birth preparation. If you have friends who are supportive of your birth choices, talk to them. If you don’t have friends such as this, find some. The village of support you build among like-minded friends and in your childbirth class will be people who walk with you beyond pregnancy and birth and through parenthood. These relationships are so important. Your childbirth class is a great place to start and the friends and relationships you develop here are an important part of your birth preparation. You can also search out for other local groups in your community. There are also online communities that can help you prepare mentally for your birth. Building this village really does matter! We have all been to a baby shower where women take turns sharing their horrifying birth experiences. It is always important for women to share and process their birth experiences. Sometimes though, stories that are frightening are not helpful for your personal mental birth preparation. Maybe the negative voices are in your own family. Our mothers sometimes have very frightening birth experiences that we grow up hearing. If these are voices you are hearing and you feel it is hindering your own ability to feel prepared for a positive birth experience, it is OK to politely limit your exposure to such. 4. Read positive birth stories! Another way to negate the voices that scare you is to fill your mind with positive birth stories. There are countless stories like this on the internet. Seek them out. Talk to your friends who cherish the memories of their birth experiences. They will be thrilled to have a listening ear! Hearing people talk about a great birth helps you mentally prepare for your own and there is much to be learned from them. Some of our instructors even bring a past couple to class to share their birth experience. This is always a favorite night for all involved! Books that are full of positive birth stories can also help you mentally re-set your views regarding birth. Ina May’s Guide To Childbirth, The Birth Book by Dr Sears, Baby Catcher by Peggy Vincent, and many others are all books full of birth stories that inspire. We prepare our bodies for birth through specific pregnancy exercises and by eating foods that nourish us and our baby. Just as we exercise and prepare the body with good food, you must exercise and prepare your mind through relaxation and affirmations. Your class should help you and your partner learn how to relax together. Relaxation and affirmations should be an integral part of your childbirth class. Our class workbook contains 9 different relaxation practices for you to go over in class, and at home with your partner. It also contains birth affirmations for you and for your partner. Make your own affirmations and write them down. What do you need to tell yourself to prepare for a great birth? Write down whatever makes you feel ready for birth. Prepare your own relaxations too. Our workbook contains a variety, but you can prepare your own. Think about places and things that help you feel truly relaxed- because relaxation is what will help you get closer to your goal of a great birth. These five steps can help you mentally prepare for a great birth. While it is easy (and important) to prepare with baby clothes and cute outfits, don’t leave out the most important preparation of all- your mental and emotional preparation for birth.